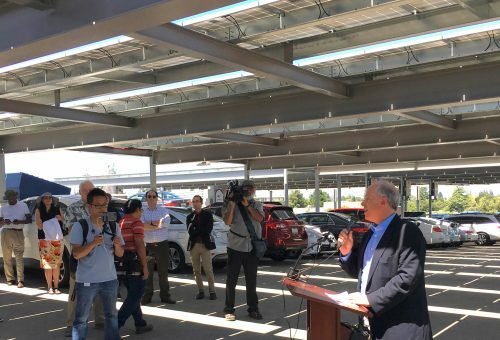 The city unveiled solar carport installations atop two public garages, plus electric vehicle charging stations that will be powered by on-site renewable energy. Yesterday afternoon, the City of Palo Alto unveiled new solar PV carport installations atop two public garages, as well as electric vehicle (EV) charging stations that will be powered by on-site renewable energy. Craig Lewis, Executive Director for the Clean Coalition, Mayor Greg Scharff, and City Manager James Keene spoke at today’s ribbon cutting ceremony (Mr. Lewis is pictured to the right). These installations are the result of sustained efforts by the Clean Coalition and the City of Palo Alto to bring local renewable energy online. In 2014, the Clean Coalition partnered with city staff to design and assist with administering the Request for Proposals (RFP) process to lease solar siting rights to install solar parking canopies on the City of Palo Alto’s parking garages. Komuna Energy was selected to build, own, and operate the solar canopies, and as part of the lease arrangement, agreed to install electrical infrastructure to support 20 additional EV chargers at a total of four garages. Additional staging under Komuna’s arrangement with Palo Alto will bring the total to nearly 100 Level-2 EV charging ports. 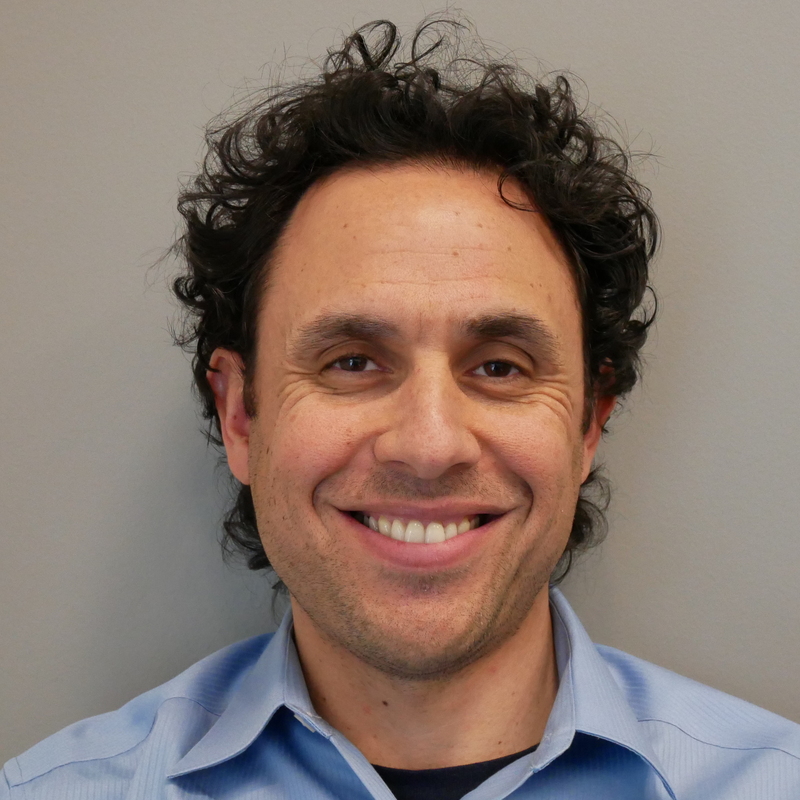 The ability to structure an RFP to solarize municipal parking garages was facilitated by the City of Palo Alto Utilities’ Feed-In Tariff (FIT) program, known as Palo Alto CLEAN, which the Clean Coalition helped establish in 2013. Under Palo Alto CLEAN, a standardized, long-term and fixed-rate Power Purchase Agreement streamlines the process to sell local solar energy to the utility. Importantly, the FIT made these solar canopy projects possible and directly supports the City of Palo Alto’s bold energy and climate goals.